As humans we are lazy and we tend to get bored repetitive and menial tasks. 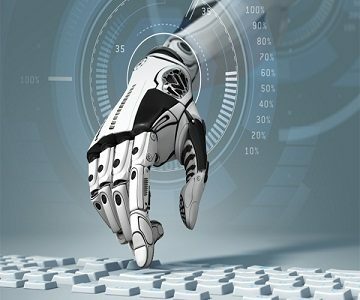 During the last few years, Robotic process automation (RPA) has emerged as one of the most innovative and disruptive technology… which companies can leverage to save time, money, and resources through the automation of back offices processes and repetitive, menial tasks. Yet, even with all the buzz surrounding the widespread deployment of RPA across a number of industries, a number of misconceptions still abound about RPA and how it can streamline a company’s operational platform and enhance overall productivity. These misunderstandings about how RPA works, its impact on companies and their employees, and the future evolution of this technology can create uncertainty and even fear for companies looking to revolutionize their back office strategies and facilitate a more lean value chain. For any technology there are always advantages/dis-advantages associated with it. People or companies need to overcome this dis-advantages and be the pioneers in this Robotic Process Automation to be lean and more productive/ Effective. Though there are many players/tools trying to grab the market, for now this tools(Automation Anywhere, BluePrism & UI path have more market share compared to others. We wish you great opportunities ahead. Some companies hiring RPA professionals are EMC, Oracle, Accenture, HP, TCS, WIPRO, CapGemini, L&T and Shell etc. You will be trained on RPA tools, Real world case studies and projects. This entry was posted in SERVICES and tagged Automation Anywhere, BluePrism, Robotic Process Automation Training in Bangalore, RPA, RPA Pioneers, RPA Training, UI Path. Bookmark the permalink.